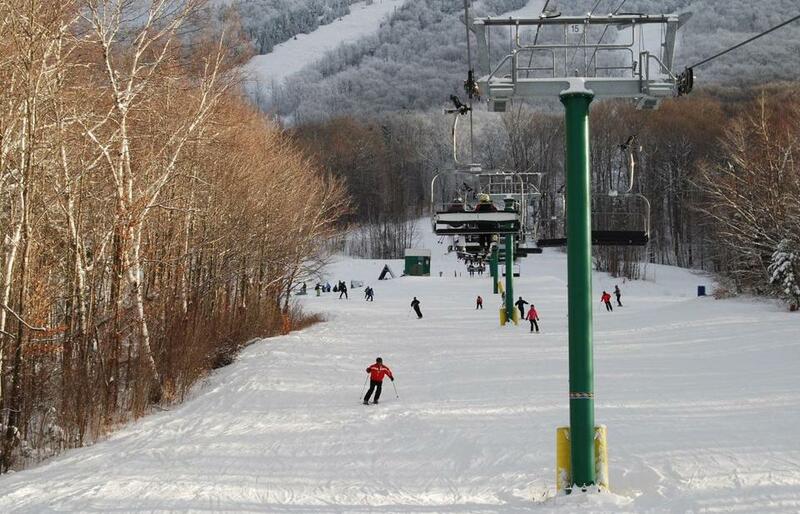 Skiers love the varied nature of the 50 trails at Burke Mountain, and they also like the relative lack of traffic. EAST BURKE, Vt. - Ken Wood was wrapping up another ski day at the mountain he’s been making turns at since the age of 2. He’s 51 now, a construction company owner from Waterford in the family business. His late father, Don, helped develop Burke Mountain and transported an early rope tow to the slopes when the area opened in 1956. The lifts are faster now, especially the new Leitner-Poma high-speed detachable quad that cuts what was once an agonizing roughly 14-minute ride on the Willoughby Quad in half. “We’ve been waiting for that lift here since 1956,’’ he quipped in the rustic Mid-Burke Lodge. “On a cold, windy day it makes all the difference. I ski this mountain hard and there are foot rests. Kearney could make it an even dozen consecutive World Cup victories this weekend. About three hours north of Boston, Burke stands high among the Northeast Kingdom’s rural beauty. The 50-trail mountain is loaded with classic narrow and winding trails, little chutes, benign novice runs, tough steep stuff, and gnarly pockets of glades. Legs feel the burn of its 2,011 vertical feet from the upper mountain. Those who love it speak of no crowds, no wide boulevards; they call it a secret. But Burke’s no secret in the Alpine racing world. It’s also home to Burke Mountain Academy, established in 1970. The private school has produced an incredible array of Olympians and national team members across the globe. 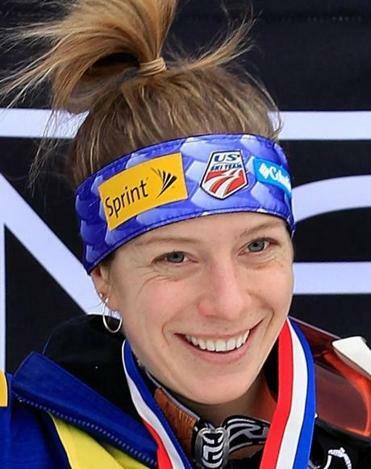 More than 50 Olympians are Burke-educated, including 2012 racers Casey Puckett (skicross), Nolan Kasper (slalom), and Liz Stephen (cross-country). Earlier this season, Kasper returned to World Cup racing after a hip injury and finished fourth in his first race back. Burke’s 16-year-old phenom, Mikaela Shiffrin, wowed World Cup watchers with her third-place finish in December’s Lienz, Austria, slalom. Burke is adding five new intermediate and expert trails. 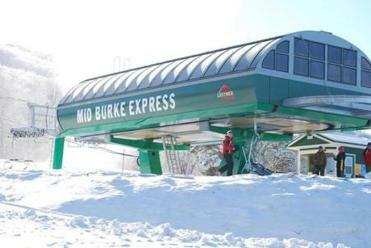 An old-school and low-key atmosphere pervades Burke as it steps up to the next level with the high-speed quad, five new intermediate and expert trails, a new summit wind turbine, and planned slopeside community Camber Heights at the base of the Express. Owned by the resort and golf developer Ginn Company since late 2005, the plan is to turn Burke into a year-round resort community. McGuire, a lifelong skier who grew up in central Massachusetts, attended Worcester Polytechnic Institute, and worked as the engineering and development manager at Wachusett before moving to Burke in 2006, never skied the mountain before moving here. The new lift whisks past the whoosh of a 121-foot-tall, three-bladed wind turbine that started producing power in September for about 15 percent of the mountain’s electrical needs. The old lift might see a recycled future life if East Bowl comes to be, 150 acres of trails on the eastern side of the mountain that are part of the resort’s master plan. Not only are on-mountain homes planned, but McGuire said a hotel is possible. As skiers ply the mountain cruising down Upper and Lower Willoughby, plunging through the woods on nearly 3-mile-long East Bowl, or meandering along Carriage Road or Deer Run, they’re bound to spot the GS-suited Academy racers. The two institutions are intertwined. An Academy affiliate, Burke 2000, sold the ski area to Ginn for $3 million dollars. “What’s good for the mountain is good for Burke,’’ said Academy headmaster and ski coach Kirk Dwyer. The school has two training hills on the Dippers and Warren’s Way. According to Dwyer, over the past three years the academy has invested $200,000 to upgrade the existing Poma lift students use vs. spending $1.5 million on a new one. Dwyer is spearheading a fund-raising campaign to purchase tower fan snowmaking guns for more aggressive snowmaking on the hills. Basically, he believes improvements to the mountain lead to higher numbers of skier visits and reasonable real estate sales. “This all strengthens the viability of the mountain with the longtime viability of the school,’’ Dwyer said. Freeskiing is critical to a ski racer’s development and Dwyer said the lack of crowds allows his students to ski safely at a reasonable speed, particularly in the early morning. The skiers also utilize the pokey j-bar at the lower mountain where children are first learning turns, accessing terrain to work on fundamentals such as slow turns and snow plowing.